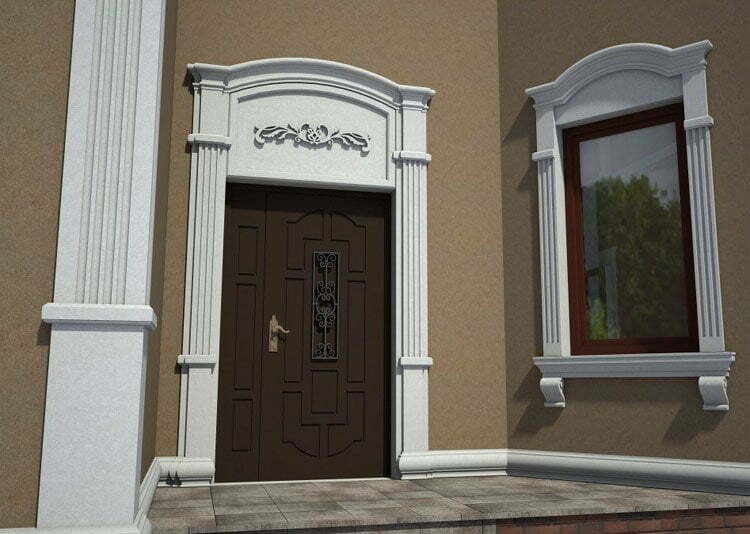 Decorative plaster is an excellent way to embellish the facade of a house. There is a fairly large number of technologies, so the developer may not be limited to one design decision. 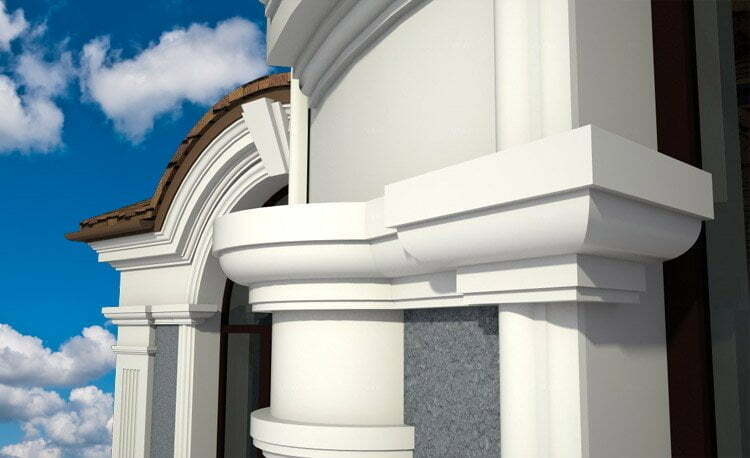 Plaster is considered the most practical building material, which allows you to protect the walls from moisture, cold, create excellent noise insulation. The unusual name for this type of cladding is associated with an external resemblance to the lamb’s fur. Particles of the mortar are formed with a float. As a result, the surface becomes embossed. This format is now in great demand, due to its durability and immunity to environmental conditions. 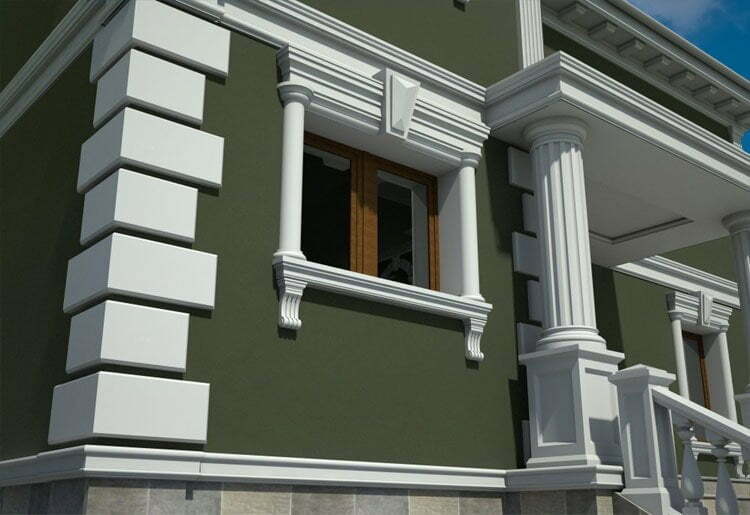 The formation of pellets from the plaster on the facade is an excellent substitute for the familiar “coat”, which we can still remember from the Soviet times. The material perfectly grips with the surface of the wall, is durable. High performance “lamb” is complemented by aesthetics. The frozen, embossed surface is then covered with a coloring layer. 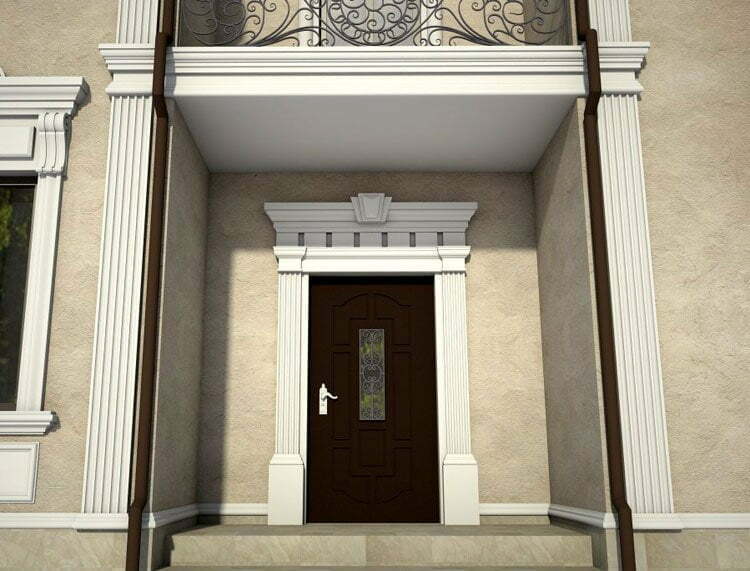 A more concise and at the same time creative option will be the facade lining with textured plaster. 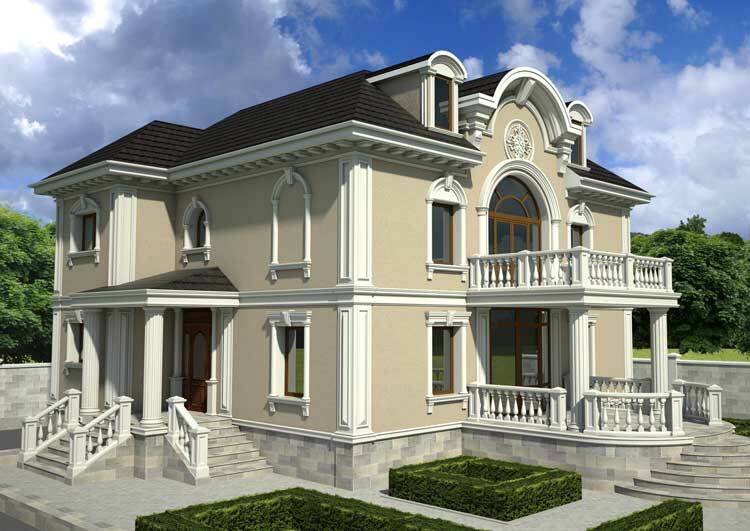 The exterior of the house will acquire a solid, attractive design. The user has the opportunity to impart any pattern to the unattended plaster. As a result, it is possible to cover the surface of the plaster with any color palette at the discretion of the author. Textured plaster requires preliminary cleaning and leveling of the wall surface. Also a layer of gray plaster should be covered with white or the same color as the outer decorative layer. This is necessary so that there is no dark lumen. 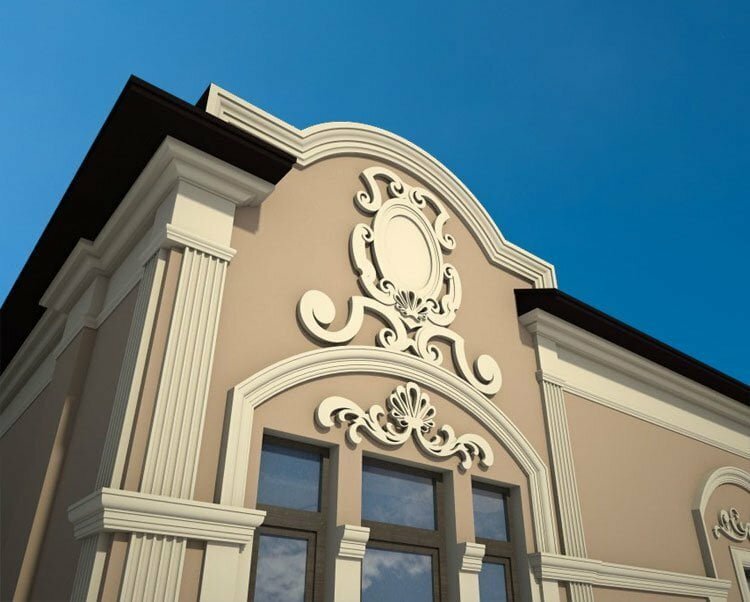 Here you can see a photo of a selection of decorative plasters – finishing the facades of houses photo decorative plaster. Mosaic plaster has nothing to do with small pieces of tile, which form a single composition. To replace the mortar, a lot of small granules come in different colors. The facade can be executed both in a monophonic format, and a combination of granules of several colors. Externally, the finishing works make the wall seem soft, attractive. So you want to touch the surface of the facade, which has some elasticity. 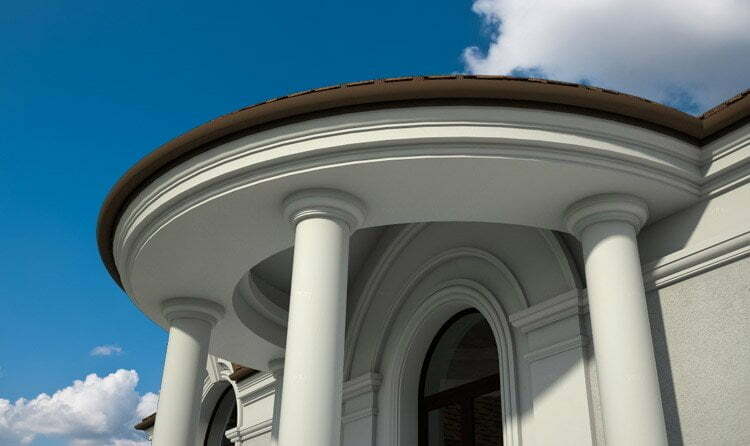 In addition, the material is very resistant to damage, has a wide variety and excellent aesthetics. 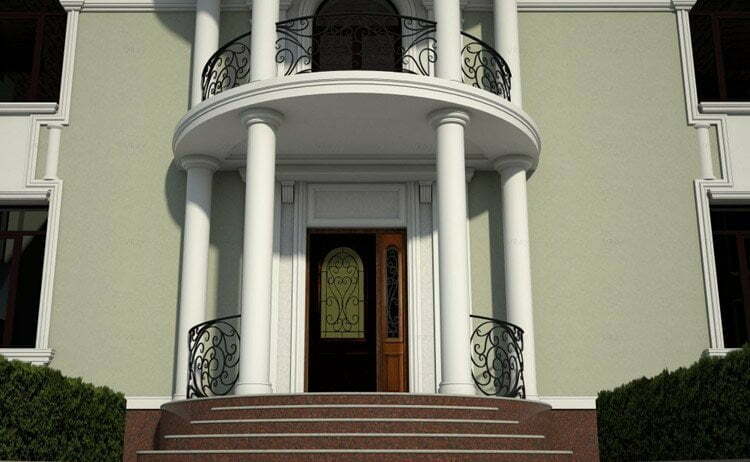 Imitation of natural stone is also possible with the help of plaster. This style of facing takes the name of the stone travertine, which has a marble, sinewy structure. Externally, the facade can have a slightly unfinished surface in different places. This creates an imitation of untreated natural stone. Also, manually using the level of the ruler, you can give the non-stretched surface a linear drawing. This will recreate the outlines of a stone square / rectangular masonry. 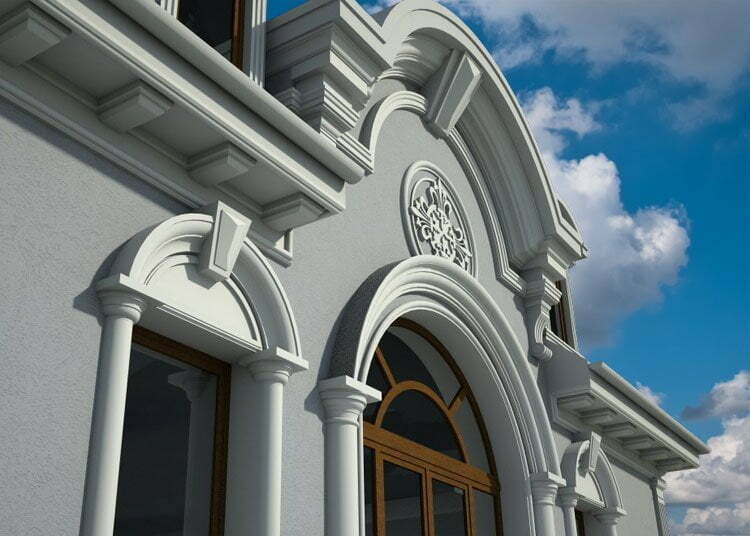 Stucco – a kind of decorative plaster, which is used for finishing the facade of buildings. Today, this method is very popular, so we can often notice buildings whose walls have an abstract pattern. An unusual texture of the cladding will make the facade neat and original. 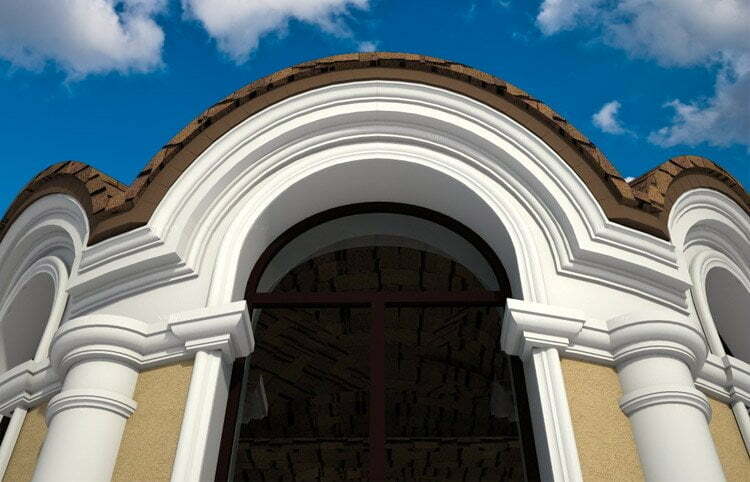 Finishing with stucco is used both in residential buildings and public buildings. The bark beetle is designed to protect the building walls from bad weather conditions. The building material perfectly resists moisture, temperature changes. 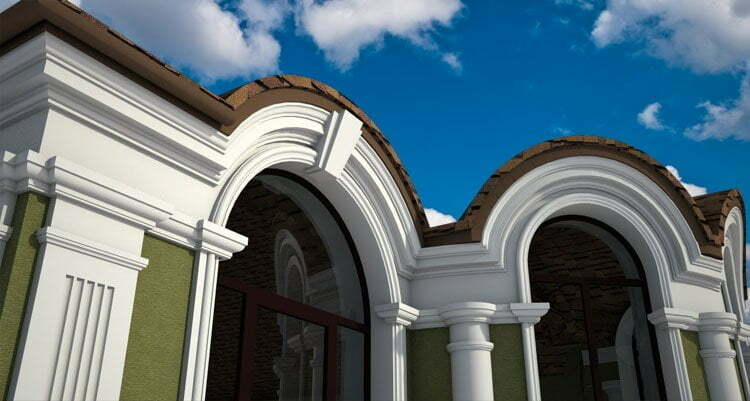 Click on the link – the facades of one-story houses photo stucco, you can see the appearance of the facade in this technology. You can finish with a stucco youself, if you know the technology of execution. It is important that the building mix is ​​considered environmentally friendly, therefore it is possible to work with it without a respirator. The stucco is laid on any type of wall: brick, concrete, cement, drywall, chipboard, plywood, foam and others. This makes the stucco popular among other ways of facing the facade. After hardening, the plaster will be pleasant to the touch, despite the presence of unevenness. 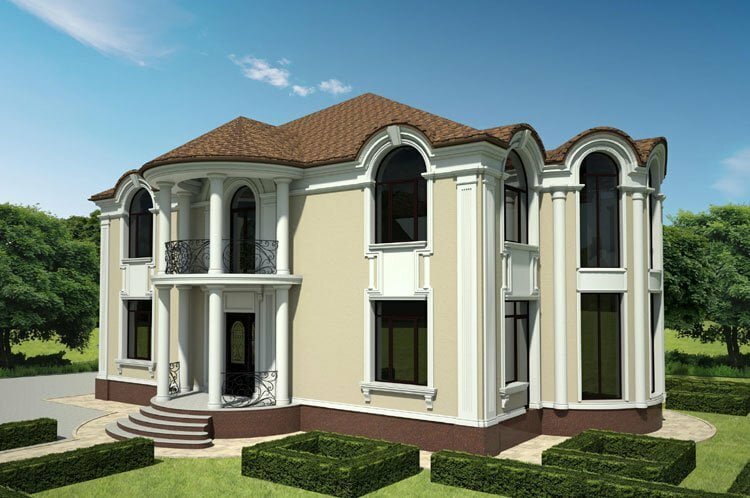 Appearance definitely will please everyone – the design looks exclusive, which will give the building a charm. 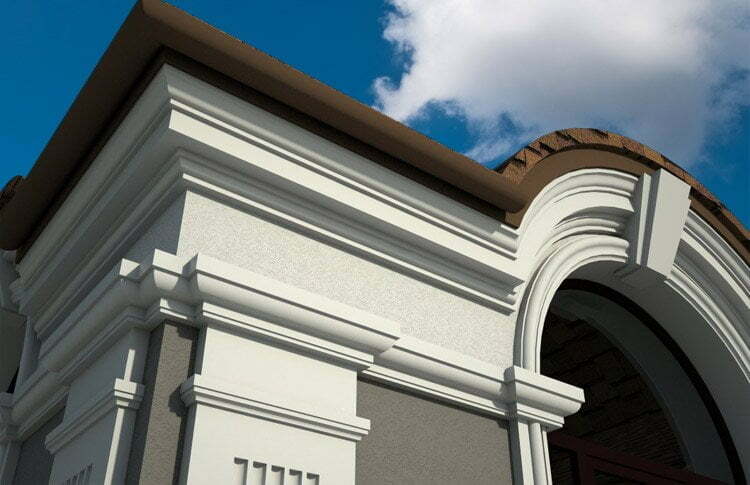 You can color a stucco in any color – there are no restrictions, you can choose for yourself an individual solution. Today you can meet the facades in blue, pink, yellow, green colors. 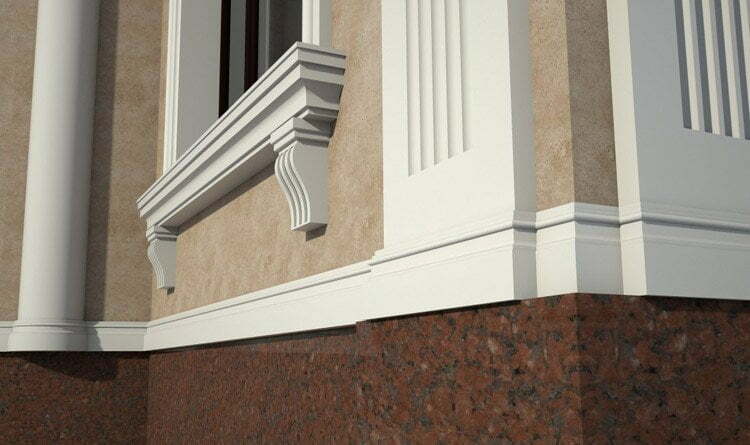 The finishing of the facades of houses with decorative plaster is carried out in such stages… It is important to thoroughly clean the surface of the facade from the presence of contaminants. Use a filler to help make the surface smooth. It is important that there are no irregularities, otherwise the result of the plaster will be unsatisfactory. Further, the facade is covered with a primer and a light paint so that the dark color of the putty is not visible through the stucco. The stucco should fit under the primer layer. To apply stucco, use a spatula or a float. Please note: the thickness of the putty layer should not be greater than the size of the granules that are contained in the corona. Distribute the plaster on a small area, so that it is more likely to be fixed. It is recommended to do the work together: one person applies plaster, and the second is applied by a decorative pattern. This is especially important when the wall has a large area. Be sure to remove excess, unevenness of the material. After the finish is completed go to the troweling process. At this stage, many users feel tranquility, as the whole main process is over, and now you can take time to beauty. To make the plaster aesthetic, a grater is used. With its help, so-called lambs are formed, if you use circular grater movements. To form a rain apply direct movements. The facade of the house, whose photo we offer in the widest variety, is his business card. Exterior design says a lot about the owner. We offer a unique opportunity to get acquainted with our photo gallery, where the most diverse, interesting, original facade structures are collected. 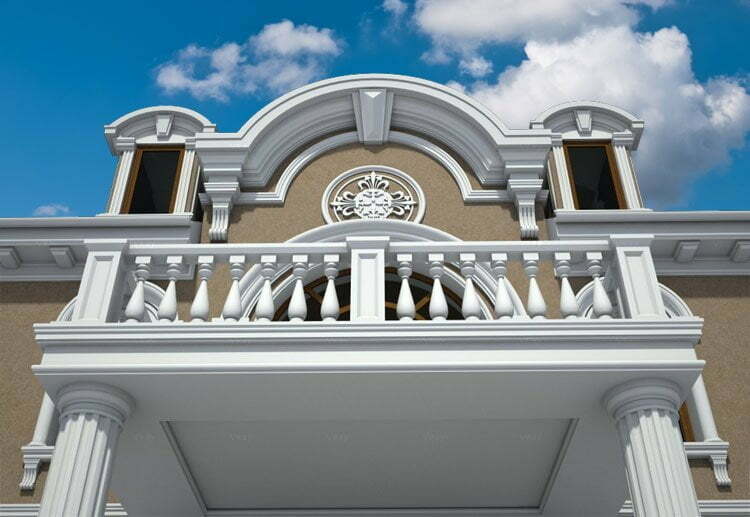 One of the most interesting variants of modern facing of buildings is decoration with the help of plaster stucco. As we see in the photos, this technology is suitable for private houses, high-rise buildings, and for public buildings. Interestingly the origin of the name of this technology. We all know the stucco, which with its sharp teeth destroys the bark of trees. Woody “coating” becomes corroded, which immediately gives out this small pest. So it’s here. After the application of the plaster stucco on special technology, the facade of the house is obtained in an interesting structure: it seems to have been damaged by all the beetles described above. But if in the case of trees it is not very good, then here – originality immediately strikes the eye. Considering the facades of houses, the painting on the photo is represented by a wide variety of colors. This is another advantage of this technology – the ability to choose the right coloring. Beige variants are interesting, green, but also popular gray and even red. The great advantage of our photo archive is that here you can find a wide variety of photos, which show the most diverse options for finishing houses. For example, concrete – stylish, modern, practical. And forget the words of those who say that this way the house looks like some kind of production workshop. Nothing like this. Concrete, several plastic panels, many windows – and you get a beautiful, original facade. 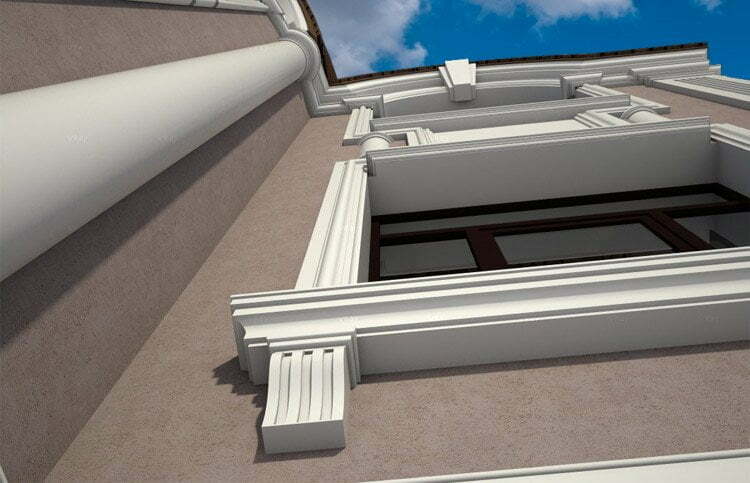 Stucco molding for the facade – excellent, durable, original version. The most interesting thing is that it is a manual work. Accordingly, there are many advantages to creating something unique. 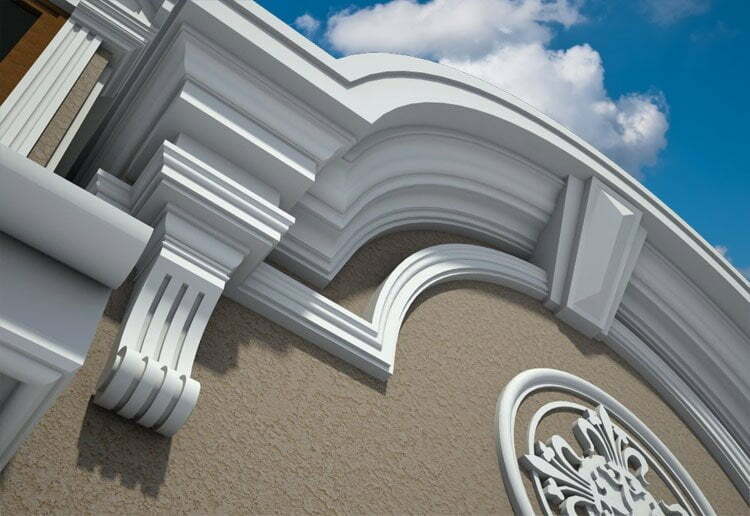 You can order a variety of facade pediments, sculptures, carved patterns and much more. Siding – a popular method for today, but which appeared not so long ago. But already now you can see photos from different cities of Ukraine, where this original method is applied. 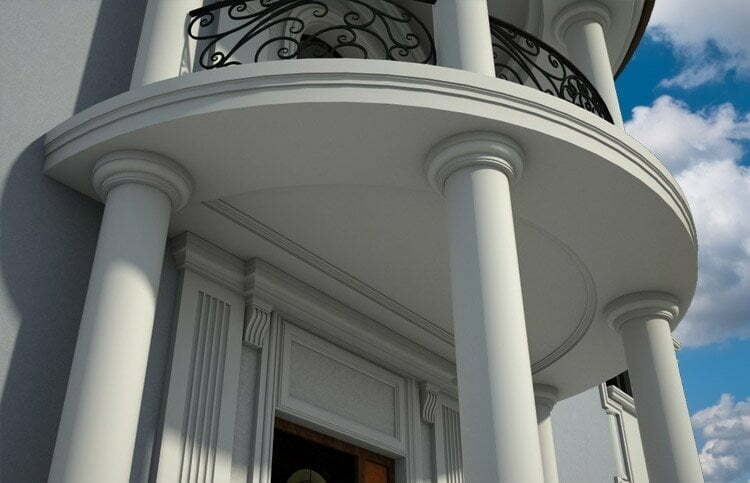 In addition to its practical advantages (high degree of thermal insulation, ease of installation), the material has excellent decorative qualities.